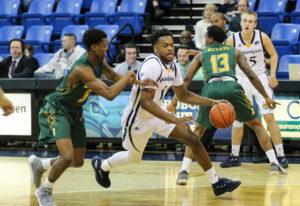 The Quinnipiac men’s basketball team picked up a much needed win on Sunday, topping Siena 76-69 in Hamden. The Bobcats (7-13, 4-4 MAAC) shot 27-for-44 from the field, good for a 61.4 percent clip. The strong shooting performance led to five different players scoring in double figures, with senior forward Chaise Daniels leading the way with 17 points off the bench. The Bobcats played a complete game, holding Siena (6-15, 2-6 MAAC) to just 22-for-53 shooting and limiting leading scorer, freshman guard Roman Penn to just six points. Siena was led by sophomore guard Khalil Richard with 14 points, but it never led after the 16:05 mark in the first half. Dunleavy had high praise for Daniels, who he believes has made great strides on the defensive end this year. Quinnipiac also got a big performance from freshman forward Jacob Rigoni. Rigoni, making just his second career start, had 15 points, including three 3-pointers, and a career-high with eight rebounds. 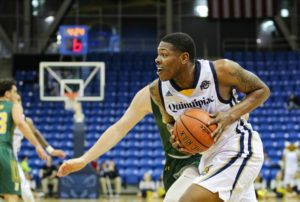 Freshman guard Rich Kelly added 16 points for the Bobcats, and graduate student guard Isaiah Washington had 11. Their performances were key since senior guard Cam Young picked up four fouls in the first half and was limited to just 21 minutes, well below his season average of 32.1 minutes per game. Young, who averages a team-high 17.6 points per game, was held to just 10 today, snapping his streak of 10-straight games with 18 points or more. The lone downside for the Bobcats came in the first half, in which they turned the ball over 11 times. However, they corrected their ball security issues at halftime, coughing it up just three times after the break. 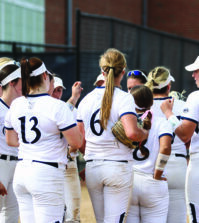 Quinnipiac will look to stay in the win column as they travel to Poughkeepsie, New York to take on the Marist Red Foxes on Thursday.